We ask that new clients arrive 15 minutes prior to their service to fill out the necessary paperwork and get settled. If you do not arrive 15 minutes before your service, the time it takes to fill out paperwork will be deducted from your total service time. Please keep in mind our lash specialists may have other appointments after yours. We will always do our best to accommodate you. A credit card must be on file to hold all appointments, however, you may pay as you please upon arrival. We strongly suggest pre-booking any fills after your service before leaving the spa to ensure you are able to get an appointment at the time and date needed so that you avoid any additional fees for retention loss/grown out lashes. If you are running late to an appointment we ask that you call us to let us know, otherwise we will assume you will not be showing up and may release the appointment. If you are less than 15 minutes late we will try our best to make your lashes as full as possible in the time allotted. You will still be charged full price. If you are more than 15 minutes late we will try our best to accommodate you but reserve the right to reschedule your appointment if we are unable to. Please keep in mind we will always do our best to accommodate your session. Here at Iconic Lash Lounge we understand unforeseen events happen and you may need to cancel an appointment. We ask that you give us 24 hours notice so we can adjust our schedule to accommodate other clients and inform our service provider. In the event 24 hours notice is not given we will try our best to re-book the appointment time. If we are unable to fill the time slot we reserve the right to charge a cancellation fee to the credit card on file totaling 50% of the session. We reserve the right to charge a no show fee to the credit card on file totaling 100% of the service to those who do not show up to an appointment. After 2 no shows you will not be able to book an appointment unless it is paid in full at time of booking. Absolutely no refunds. Please, no children in the treatment rooms. Eyelash extensions take a lot of concentration and we ask that there are no distractions in the room. Please have a care provider accompany children under 12 in the lobby, unfortunately we are unable to watch children for you and will not be held responsible. We reserve the right to cancel/reschedule an appointment in the event children are present and unsupervised in which case our cancellation policy may take effect. Please thoroughly remove all makeup before coming to your lash session. Eyes must be clean and oil free upon arrival otherwise we will charge a $15 makeup removal fee and the time spent thoroughly removing your makeup will be deducted from your session and you will still pay the full price. We are unable to properly adhere semi-permanent lash extensions on lashes that have makeup/residue buildup and in more serious cases, it can lead to irritation and infection. Clients must be at least 16 years or older to receive services. Minors under 18 must be accompanied by an adult. Adults must be present in the treatment room during the consultation. We ask that all cell phones are tuned off or on silent in the treatment rooms. If you are receiving a lash session we ask that you do not open your eyes to check devices until after your session is complete being that our lash specialists are using tweezers, adhesive and other items near the delicate eye area and this takes time away from your service and may irritate eyes during and/or after your session. 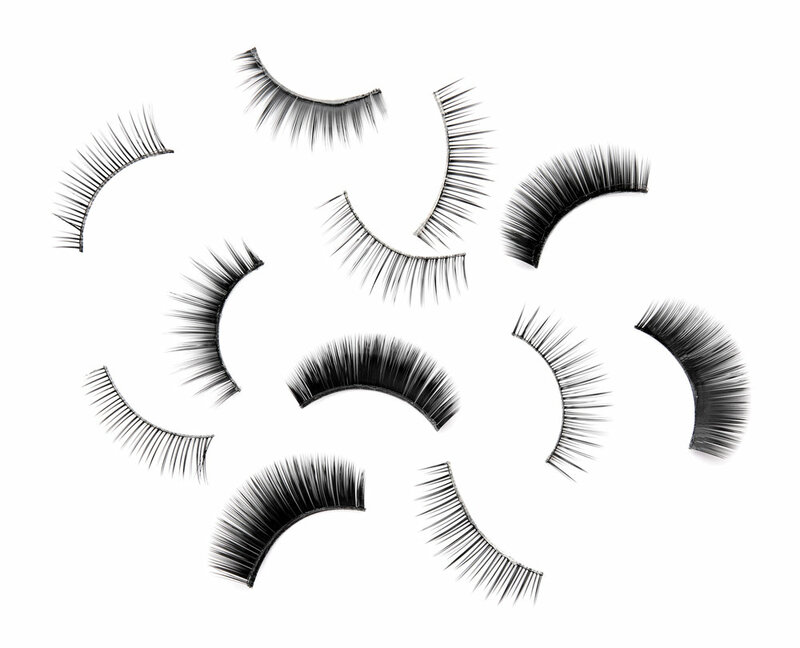 If more than 50% of your lashes are detached or grown out it will be considered a new full set of lashes. 5+ Week Fills: You will need a new full set of lashes. Even if you have lash retention, lashes need maintenance at least once a month to ensure your lashes are happy and healthy. We must remove lashes that are grown out.